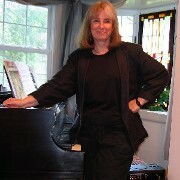 After 32 years as a successful choral teacher, I'm enjoying an amazing retirement, full of musical events of all types. I'm now a jen-yoo-wine "free-lance" musician -- with an LLC and everything! -- and spend every day pursuing a multitude of musical adventures. 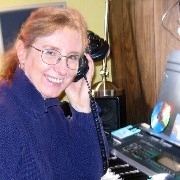 I'm available for private coaching sessions on piano, harp, voice, upright bass, and of course, dulcimer. If you're like me, your busy life doesn't allow for a regular lesson schedule, but you'll benefit from the occasional "as-needed" approach -- we'll cover a lot of ground during a 60-90 minute session, and you'll go home with a ton of material to keep you busy for weeks. Perhaps you're preparing for an audition, and just need a "tune-up." Tell me what you need -- together we'll design a session that will give you plenty of challenge! Thanks to my father's encouragement, I learned to read music before I could spell my own name. As a result, I'm blessed with a pretty darn good ability to sight-read almost anything. This can come in very handy if you ever find yourself stuck without an accompanist, or you need a last-minute substitute for your production. Musical theater has been a life-long passion, and over the years I've musically directed probably a hundred shows in almost as many community and dinner theaters, and schools. 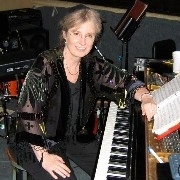 I can conduct a full pit orchestra, from the podium or from the piano. If you're tired of the computer-generated recordings you get from the theater rental houses, I can provide high-quality recordings made in real time on my synthesizer. These CDs can be as simple as a piano track suitable for use in rehearsals, or as complex as a full pit orchestra suitable for performance. Need a song transposed? Not a problem. 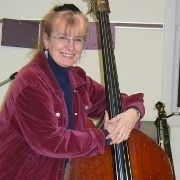 I'm a pretty fair bass player too, and can add that extra "oomph" to all kinds of music, from old-time and bluegrass music to deep-down blues, music from the Mummers tradition, and musicals.